Harvard University is a renowned learning institution that has slowly built a reputation of producing some of the most prestigious alumni’s. Since it’s was founded back in 1636, it continues to boast one of the lowest student acceptance ratio in the whole world. Only Stanford University comes close to it. Interestingly, last year, the college’s undergraduate school had more than 39,000 applicants, of which it only accepted 5.2% into its 2021 class. By looking at these statistics, it’s not surprising that the University continues to emphasize the need for an application supplement during the process of admission. 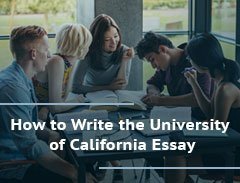 After requesting students to enter all their extracurricular activities as well as letters of recommendation, the university also requires a supplement essay. Of course, doing so is not always easy because of their open-ended essay prompt. As such, students struggle each year struggling with what to include so that their applications can gain acceptance. If you’re also having trouble dealing with such issues, you’ve come to the right place. Here’s EliteEssayWriters.com’s best guide on how to come up with eye-catchy and informative University supplementary papers in 2018. An unusual circumstance in life. Travelling experiences or life living in a different country. A collection of novels that you’ve read within the last couple of months. Write according to the Harvard University Code of Honor which lays emphasis on Honesty as the foundation of the community - you could mention situations in your life when you had to act by having high moral characters and principles. The mission of the University is to educate all students to be good citizen leaders in the society. So, what have you done to contribute to your life and those of others? Talk about how you’ve contributed to advancing such missions. Polite Reminder: If you don’t wish to offer any response to such an optional question, then you’ll not need to submit your essay supplement. Also, if you come across any issues while submitting your paper, name your application as ‘Not Applicable’ and then submit! Is The Harvard University Essay Optional? Every year, students get confused thinking that such papers are optional. However, at EliteEssayWriters, we constantly advise all scholars not to ignore this opportunity. We go on and remind them that this is the best place to showcase their interesting characters. Besides, after looking at more than 200 members of the Harvard 2017 class, we found that 86% of all the accepted students choose to write this type of essay. A number of bright students across the globe want to attend the university to eventually realize their dreams. However, with the increasing number of applications and low acceptance rates, joining the class of 2019 is now harder than before. A huge component while applying to any college is your essay. This paper gives the admission officers a closer look into your life other than just going through your resume. A well-written essay gives a student with a poor extracurricular activity profile and low SAT scores a ‘new breath of life.’. On the other hand, a poorly written essay full of cliché stories can damage the admission of even a 2400 score SAT student. The college particularly insists on the essay section of the student’s application because of the stellar qualification they receive each year. 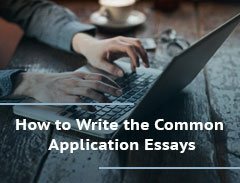 In some schools, the Common Application essays are the only opportunity for the student to talk about themselves. However, a good number of elite schools include a supplementary section. Here, they simply ask for more insights into your life. Once you choose the right prompt or topic, be creative as you share your story. The open-ended and optional nature of the supplementary section is quite frustrating to students. There are different options, it’s up to you to decide whether to include or remove it from the college Optional essay entirely. The issue still draws varying reactions in College Confidential forums with some saying “write it!” and others simply don’t think it’s necessary. Luckily, we’ve come up with answers which end the debate! By now, you might have discovered that such essays don’t follow any word count. While this means that you can submit a dissertation of close to 57 pages, we’ve found the most acceptable articles are those that take only 700 words. Apart from this, your paper should be at least one page long, use Time New Roman, maintain a 12-point font size and single space all your lines. If you’re preparing your essay from scratch, it’s crucial to keep it unique. It needs to be substantially different from your normal essay when it comes to its personality traits, content, style or tone and properly developed. Basically, it should bring something new to improve your entire application. For instance, if you’ve based your application on research and how it’s shaped the person that you are today, go ahead and talk about something which develops your personality in the supplementary paper. Here, showcase your character in an unexpected way such as writing about your love for charity. In any case, it should use your passions and interesting as the best tool that reflects your community involvement in a unique way. Another example of a perfectly written essay is if your activities list only has leadership positions. In such a case, you can illuminate your supplementary paper in a way that humanizes yourself to all your readers. Keep in mind that the objective is to improve the depth of the application to eventually ‘make some sense.’ Interestingly, your audience will relate to content that raises eyebrows as compared to one that’s too elaborate. Basically, as a student, to distinguish yourself, always make use of optional or supplementary essays. This is just the best means of giving the admission officials an authentic and well-rounded picture of what defines you. Also use this chance to mention your new attributes, different from those mentioned in the common application paper. It’s always a plus if the admission board can imagine you on their campus! Talk about yourself - Remember that the main point of this paper is to emphasize on your entire college application. In this case, it needs to give you an attractive appearance to prove that you’re their most suitable candidate. Stories of maturation, growth and the lessons that you’ve learned along the way should distinguish you from other applicants. ‘Shows not tells’ - Let’s say that you decide to talk about effective methods on how to cook and how they’ve shaped your life, use actual examples to prove your sincerity. Make it clear - The University only looks for a student who can meet their specific applications and still play a critical part in building the culture of the school. Here, you need to show how you’ll improve and differentiate Harvard by simply linking your qualities and personal experiences to the institution’s community. Harvard’s culture creates an environment of rich thoughts and diverse outlook. Among the largest priorities of the college is to encourage future innovators and leaders to change the state of life. It teaches them to be driven and focused so as to take on the rapidly changing world. Ensure that you know the internship opportunities, research projects, activities and curriculum styles which interest you within the university. However, if you don’t have any area of concentration yet, don’t panic! Harvard has a wide variety of potential interests which you can easily identify while doing university research. Don’t be afraid to mention them especially if they go hand-in-hand with your essay topic. There a few points that you’ll need to be keen on when writing this kind of an essay. First of all, the college tends to put emphasis on passion or community development over just success in your academics. Secondly, you should also convey your message in a curious way. This can be through intellectual, academic, philosophical and extracurricular means. Remember that Harvard students are people who are passionate about what they want to do. Therefore, your essay should show how you contribute to this ‘way of life.’ Lastly, the college is famous for looking for people of strong integrity and character. So, it’s a huge plus when you show a sense of humanity or citizenship in your application. Now When Writing the Supplementary Essays! Although we’ve mentioned the term ‘unusual’, your life experiences shouldn’t be too unique. Instead, your essay should describe the person that you are and the different ways in which such experiences have helped in changing your life. Once you do so, then you’ll have an easy time when choosing the most suitable topic. Showing the admission board how your ‘unusual’ experiences have influenced your life is a crucial part of your essay. Therefore, give them a complete understanding of all that you’ve gone through. It’s even more essential to link such experiences to the person that you are today. Be particular while talking about how these events have transformed how you view life. A good example is choosing to write how you never had a stable living environment. Highlight how you maybe traveled 13 times within a span of 17 years rather than plainly stating how changing residencies impacted your life. Focus and express the things that shifted your perspectives, relationships and the relationship with your family because of this nomadic lifestyle. Don’t leave out any detail as they put some life in your essay! It’s necessary to mention that the objective of this application is not to make a ‘sympathy’ supplementary essay. Although you’re still allowed to give a sad experience, make sure that it highlights your unique qualities and personal strengths. Even though your story is not a happy one, it should always end on an optimistic note. This prompt is for those students who’ve watched their personal lives grow as a result of traveling. If you have not gone through such experiences, we advise you to pick another topic. However, this prompt’s existence highlights Harvard’s need for diversities in perspective, know-how, and backgrounds as it admits a new bunch of first-year students. When writing this kind of topic, don’t just talk about the area’s important landmarks. Instead, go deeper in your explanation and describe the nature of that place. Of course, you’re free to mention the Coliseum in Rome but it needs to be a key point of your change in travel or personal growth. Ensure that you are accurate as you describe the foreign culture and the impacts that they’ve played in the whole outlook of your life. Such topics should give more meaning to your travel other than just saying that you’ve been there. Another fantastic idea if you’ve stayed in more than one country is to compare the cultures and mention how you coped with both. For instance, if you’ve lived in both Los Angeles and England, talk about how the manners, daily life chores, and interpersonal relationships differ from each other. More importantly, talk about the cultures that played a crucial role in shaping the entire plot of your life. A suitable example is a fast-paced life in Southern California and how it’s made you discover and try new interests. Essay Topic 3: What Should Your Future University Roommate Learn About You? This topic has a huge chance of producing similar essays. A good number of people prefer generic things such as sleep and chocolate. Therefore, always try to concentrate on more personal issues. Adopt a unique writing style by perhaps writing it like a letter to a potential roommate or you may use the third person tone to talk about yourself. Another method is communicating through the use of stories which show the origin of your main character traits. Also, remember to inject a bit of humor in your paper. Basically, your essay should capture your reader’s interest from the onset! It’s essential to also remember that although you have to describe yourself as a friendly roommate, you still keep the language formal. Such means that there’s no place for slang or informal phrases. Besides, by making yourself look like a perfect person, you don't sound impressive but dishonest. However, don’t concentrate on those negative qualities as this will stick in the minds of your admission officers. Even as you admit to having certain flaws, use your good judgment to portray your best character to the Harvard University committee. Unfortunately, using this prompt is slightly risky as the board might think you’ve just re-written Stanford essays. A certain project that you did while in high school. Are you good at poetry? This prompt is just what you need to showcase all your intellectual abilities. If a certain experience made you settle on the desired area of study, it’s an excellent avenue to talk about it, if you’ve not already. The board of admissions loves seeing students who are passionate and committed to their interests. For instance, if you’ve opted to focus in the STEM field after taking some time as an assistant in a well-equipped neuroscience lab, this section is an awesome place of mentioning all that you went through and learned while there! You may also decide to write about any intellectual experiences which are not within your comfort zone. Let’s say your high school English teacher told you to write a long paper outside your field of engineering and in the process, you found that you had a hidden passion for English literature. Once you reveal this in your optional essay, you’re simply showing the admission officers of the time that you took to explore this brand new topic. Showing them that you can be diverse in learning is a huge plus in your optional Harvard University application essay. How did my experiences add to my specific interests and intellectual growth? How does the essay change how I solve problems? How did the research paper change my future career dreams? These questions may sound pretty easy but you should never ignore them. They are essential queries that help in taking your audience on an exploratory journey by only writing! Prompt Suggestion 5: How Do You Intend To Use Your University Education? Here is a question that you’ll need to answer throughout your life in college. In this case, it’s good that you know how to come up with the best response. The college invests a lot of time and resources in giving you just the learning you need. Therefore, it’s only fair that they know what they’ll get in return. So, by answering this query, you’re simply trying to tell the university which path you plan to take after college. Keep in mind that you’ll be representing the institution not only as a student but also for the rest of your life! However, you should not imply that getting a degree from Harvard or another prestigious high learning institution is what you need to become rich. Here, saying that attending Harvard because all their graduates go on to work in high-paying jobs is one of the poorest strategies. Even when you try to mention how getting more wealth will help you in changing the society, it still won’t score you many points. They are just some of the terrible ways of trying to convince the admissions board. Although this paper should concentrate on how joining the university will improve your life, try to mention certain things about Harvard that will boost your success. But don’t just write down activities and programs aimlessly, instead, go deeper to provide a more elaborate understanding of the school. Show how these areas will be advantageous to your growth and translate to success in the real world. For instance, if you wish to take part in a certain Government concentration while at the college, start by doing some research on the program. Explaining how the political activity will help in molding you as a shrewd debater and student of social sciences is quite effective than just saying that you’re aware of their good programs. Furthermore, mention how the lessons and skills that you’ve learned from the Institute of governance and politics will assist you in making full use of your degree. Here, remember that specificity is important! It’s crucial to know the specific things existing in the school and those which touch on your field. Almost any law student can talk about their love for law, but it’s only you who can write on why you wish to be an attorney of civil rights. You could highlight why you want to improve voting rights as a way of changing immigration systems. Also don’t just say you want to take up medicine. Instead, mention the areas in cardiology that you want to pursue. Lastly, connect them to fixing the issues in your degree! Essay Topic Suggestion 6: Have You Read Any Books Within The Past Couple Of Months? This topic idea is a bit intimidating because of its simplicity. However, it’s easily doable and at EliteEsssayWriters.com, we help students to come up with impressive essays. The process is challenging to those who don’t read frequently and hence, they can’t connect their life’s experiences to the novel. On the other hand, for avid readers, this is a perfect prompt to use. But you should take caution so as not to be repetitive. Keep in mind that your Harvard supplementary essay talks about the aspects of your life that are not covered in your application. So, if you’ve mentioned your love for books and listed the novels you’ve read previously, avoid talking about them again. Also in the prompt, the university only asks for a list, but that should not stop you from adding some additional comments these novels. Include your personal feeling on the story that you’ve read in a unique way. If it played a huge impact in your life, then explain how it’s contributed to the person that you are today. Lastly, remember the message that you’re trying to communicate throughout the application. If you highlight your love for Greek Classics in your common application paper but haven’t gone through any of them in the past year, the admission’s board might put your sincerity to question! Essay Prompt 7: When have you or Someone Else You’ve Seen Had to Act with Honesty and Integrity? The Harvard University code of conduct requires all students to portray high moral principles as the strongest foundation of the community. Here, you have one of the best chances of showcasing your softer character traits filled with self-reflection and compassion. Through the course of life, we’ve had situations which require us to be either honest or dishonest. In this essay, you should mention a unique experience to capture the attention of your audience. For instance, if your lecturer gave you some extra points on an exam because of a calculation error and you brought this to his or her attention, choose another essay prompt. However, you should talk about how you maybe led a team of reporters in pressuring the administration to release the salary data. You can even write about some of the situations in where you lied but you need to explain how you rectified your wrongs and strengthened your integrity. The main objective of this paper is not just showing your level of honesty. Instead, it forces you to understand the virtue and its importance. Just ensure that you’re wary of the lies that you present in this prompt. Of course, writing about capital crimes like how you committed murder and got away with it will definitely spread the wrong message. Likewise, don’t mention cheating on your exams or falsifying high school term grades. Harvard University, as well as other higher institutions of learning, take such offenses seriously. Besides, breaching your academic integrity rules, in most cases, ends in a quick expulsion. A ‘good’ lie is when you share a story of when you had to lie so as not to hurt someone’s feelings. Most importantly, mention how you ended up getting hurt. Lastly, don’t hesitate to go past the story. At EliteEssayWriters.com, we put a lot of emphasis on the need to show and not just tell. Use a captivating experience as the vehicle towards proving your point. Avoid using clichés like “the truth is going to set you free.” Using such phrases will only make you sound less sincere. All in all, show that you reflect on the value of integrity in your essay! Essay Topic 8: The Mission of the University is to Produce Future Leaders in Society. Have You Done Anything that Contributes to this Goal? Here’s a topic selection meant to show you how Harvard College respects future leaders. Here, they measure your level of self-knowledge and decide if it fits the needs of the society. Just like in prompt 5 above, this one also wants to see the kind of graduate that you’ll grow into! So, if leadership is a crucial part of your life, make sure that you write all about it here. Be a bit choosy when deciding on the roles to talk about. In any case, ensure that the group or party you led shows something important on your leadership skills (it may be intangible or tangible). Creating a clear assessment of your leadership skills. Addressing how your community has benefited - Don’t just talk about your individual accolades and trophies. Rather, be clear when highlighting how you intend to change the society. Here, you can ask yourself: Which are the best leadership qualities of a qualified lawyer? How will I become a better engineer by being a loyal citizen? How do the necessities in my leadership position define who I am? If you helped in building an app for a seminar that your city was hosting. Playing a part in organizing school recital logistics. Even volunteering at a food court while in high school. The university makes sure that it has diversity in its student body. It feels that this is the most effective method for students to learn something useful from each other. Such may be through sharing both learned and self-knowledge. Therefore, as you write this essay, think of how you can add to this culture of diversity. Papers on inequality and discrimination as well as how you’ve kept developing to become a citizen-leader fits perfectly in this prompt!